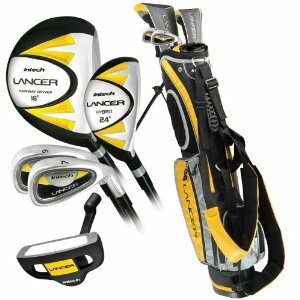 Get your youngster into golfing with the Intech Lancer junior golf set for boys, available in two sizes–for ages 3 to 7 (36 to 48 inches tall) and for ages 8 to 12 (48 to 58 inches tall). This affordable beginner’s set is designed to provide an easy entry into the game, pointing toward a lifetime of fun on the golf course. Everything your beginner needs to start enjoying a lifetime of golfing. This set features a 17.5-degree stainless driver with a composite graphite which provides precise weight placement to promote a more balanced and natural swing. The included EZ Stroke putter is back-weighted to provide a smooth putting stroke, and it has a milled polymer face insert for better feel and firm contact. The mid and short irons feature a cavity-back, low-center of gravity design for more forgiveness, promoting good swing and control techniques. And the high loft, offset 4/5 hybrid iron makes fairway play fun. The lightweight stand bag with kickstand has a six-compartment top, zippered rain cover, five accessory pockets, and a comfortable padded dual strap that can be worn around one shoulder or around both, like a backpack. It also includes a rubber grip handle. We bought the older version of this set for our 8 year old who is just getting into golf. We’ve only had the clubs for a week, but he’s played with them and they appear to be a very nice beginner set. We were also surprised that the bag is a nice quality one that looks like it will hold up and the set comes with covers for the drivers. The only minor complaint is that the clubs are a bit heavy but they’re right for the price. Take a look at some great deals on hundreds of Junior Golf Club Sets. 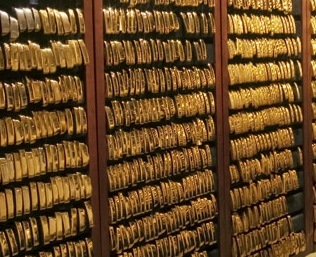 There are now more than 2,500 putters in what is referred to as “The Gold Putter Vault”. The oldest belongs to John Barnum, who won the 1962 Cajun Classic with a model 69. 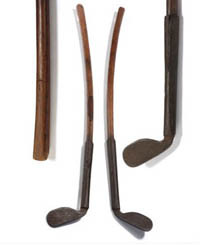 The collection includes putters from 47 major championships, including all four majors in 1988. The PING Anser occupies the most space in the vault, with more than 500 wins to its credit. You’ll even find a few gold-plated wedges in the collection, including a replica of the Eye2 sand wedge used to win the 1986 PGA Championship with a dramatic hole-out from the green-side bunker. The ZL in the Cobra ZL name stands for Zero Limits. To reach this goal when designing the new ZL driver, the project team pooled the 9 point face technology, with Multi Material construction, Stainless steel Weight screw technology with Adjustable Flight Technology, “AFT”. The objective was the built the BEST driver for the most distance, the best ball flight for every golfer, and overall best performance. Adjusting the face angle is simple as the driver comes with a wrench to loosen the set screw in the sole of the club at the end of the hosel. The shaft adapter fitted on the shaft is marked with the 3 letters, N, C, and O, for easy alignment with the index mark on the hosel of the head. By the easy adjustment, you can adjust the face angle for 1 degree Open, to .5 degree closed to a full 2 degrees closed. Along with being able to adjust the face angle, the strategy also allows for quick and easy shaft exchange. The Cobra ZL is not restricted to ONE factory standard shaft, but a large assortment of aftermarket elevated quality custom shafts. 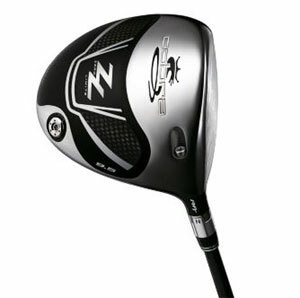 The Cobra ZL comes in 4 choices of loft. 8.5* , 9.5*, 10.5* and 11.5*. The 8.5* driver is only available in Right hand version. A light weight composite crown and sole, and a weight screw to fine tune the CG and ball flight. Each shaft comes with an aluminum shaft adapter for speedy and easygoing custom fitting of the driver to the purchaser.